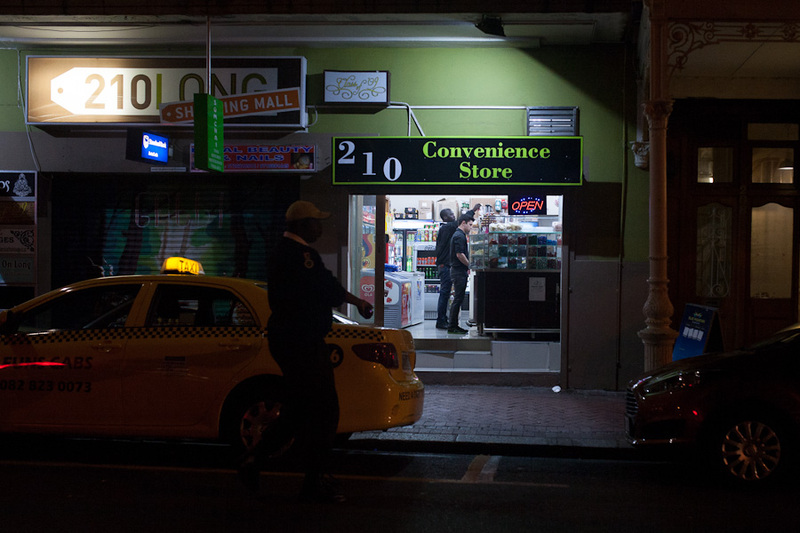 The last 10 years have seen Cape Townâ€™s iconic Long Street,Â located in the City Bowl just below Bo-Kaap, become the de facto location for barhopping, boerewors eating, and revelry for foreigners and locals alike. 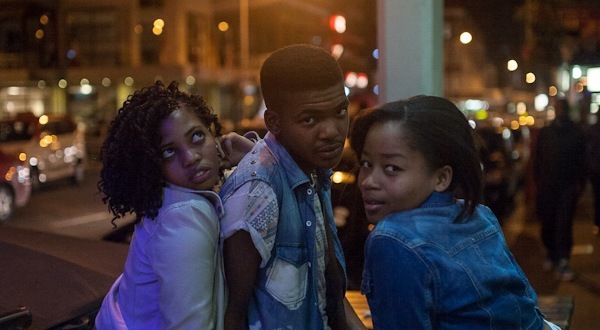 ASHRAF HENDRICKS documented the goings-on on Cape Town’s most famous street. 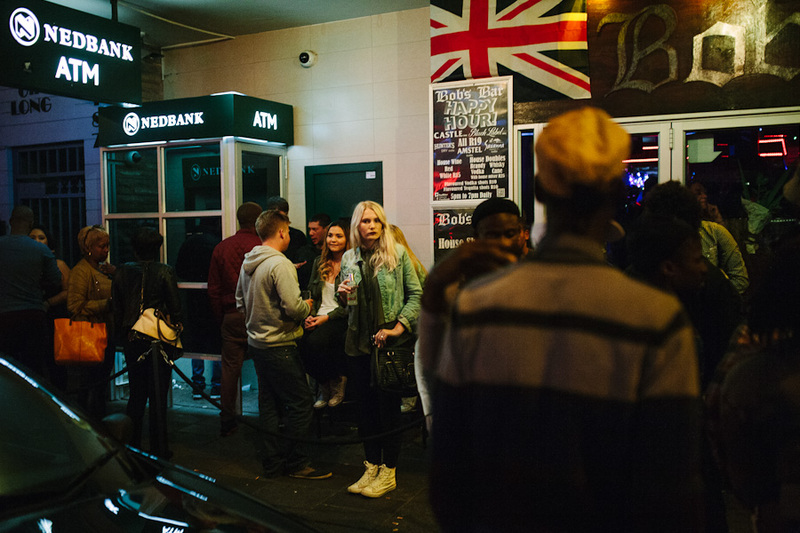 Twenty years ago there were almost no clubs or bars on Long Street, and the city centre was still predominantly white. 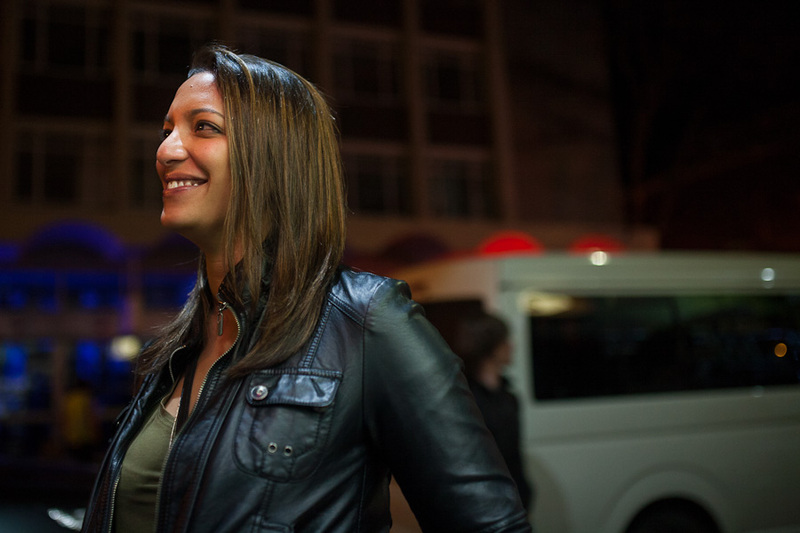 Today Long Streetâ€™s multiracial clientele have their choice of dance clubs, bohemian restaurants and cheap hostels. 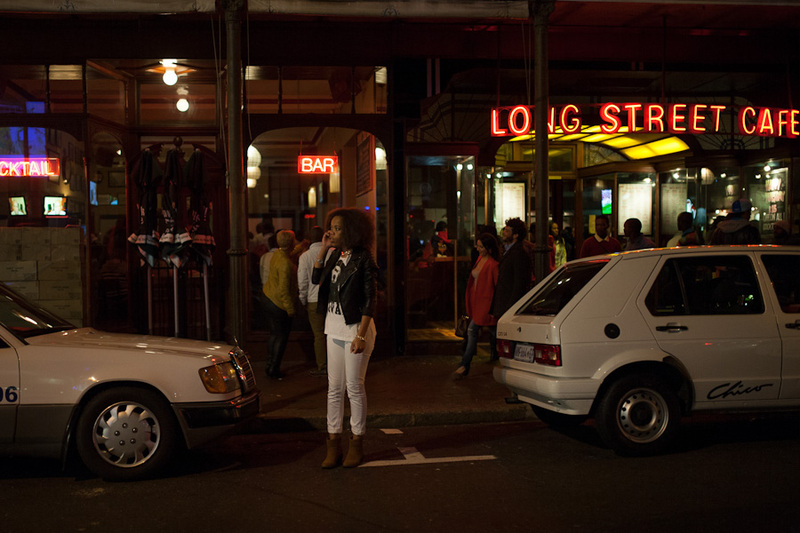 A young girl stands with a drink outside Bobâ€™s Bar, a popular spot in the middle of Long Street, which attracts mostly students. I met Nasheeta, a friend, unexpectedly. Long Street is a short street in a small city. Youâ€™re almost guaranteed to bump into someone you know while there. â€¨A couple embrace on the pavement outside aÂ boutique. Public safety officers take a statement after making an arrest. 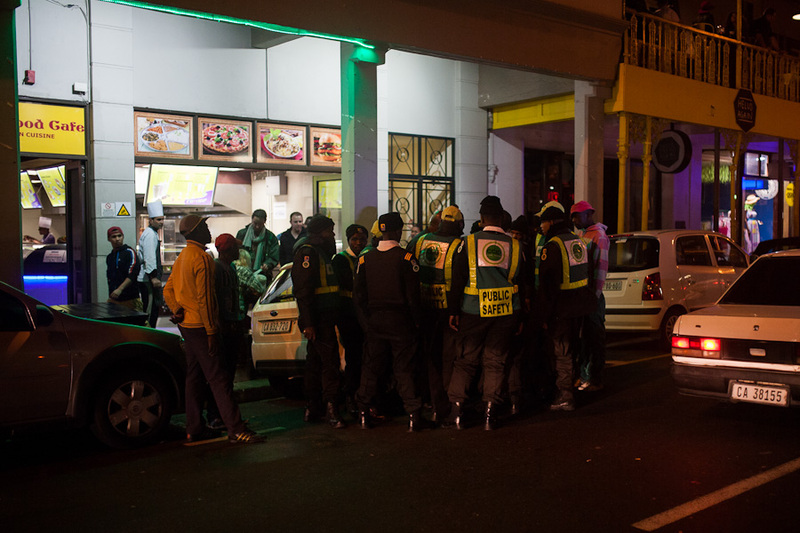 Although violent crime has subsided significantly over the last 10 years, drugs, prostitution and mugging are still common on Long Street. A homeless man lies passed out on a bench. 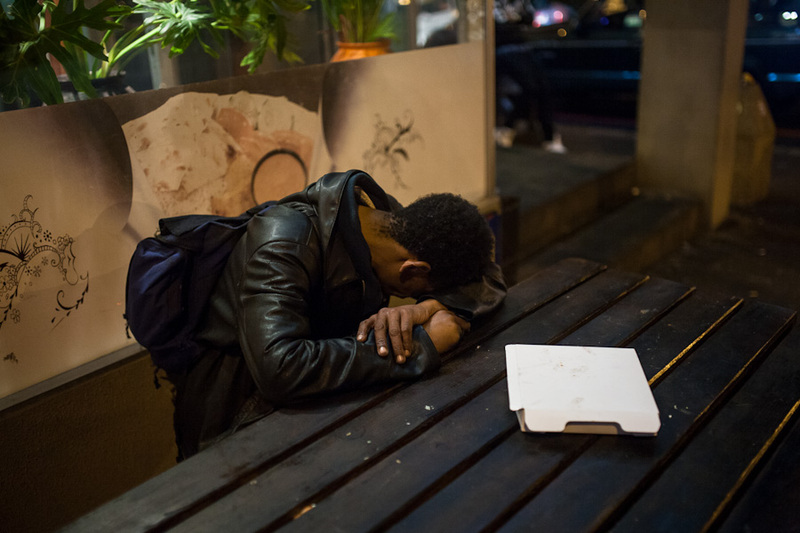 There are many beggars on Long Street, who often ask passersby for small change so they can get a place to stay for the night or a train in the morning. 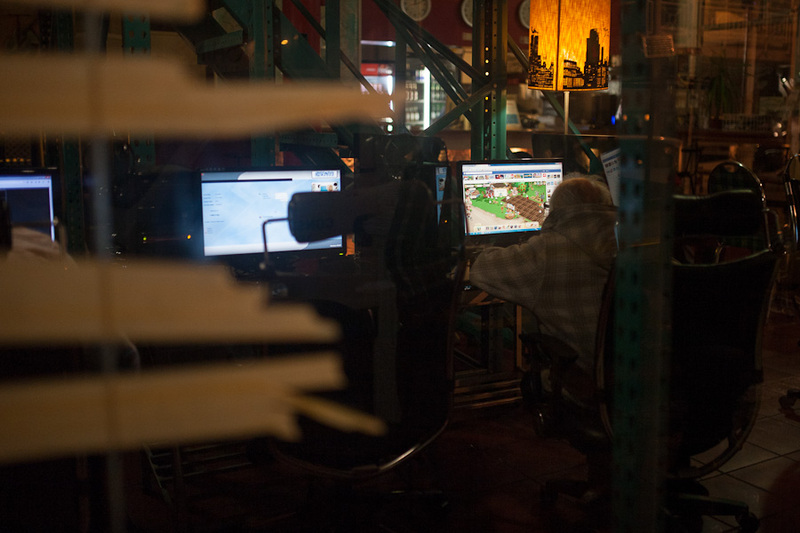 â€¨An elderly man plays video games at Computeria, a 24-hour internet cafe. 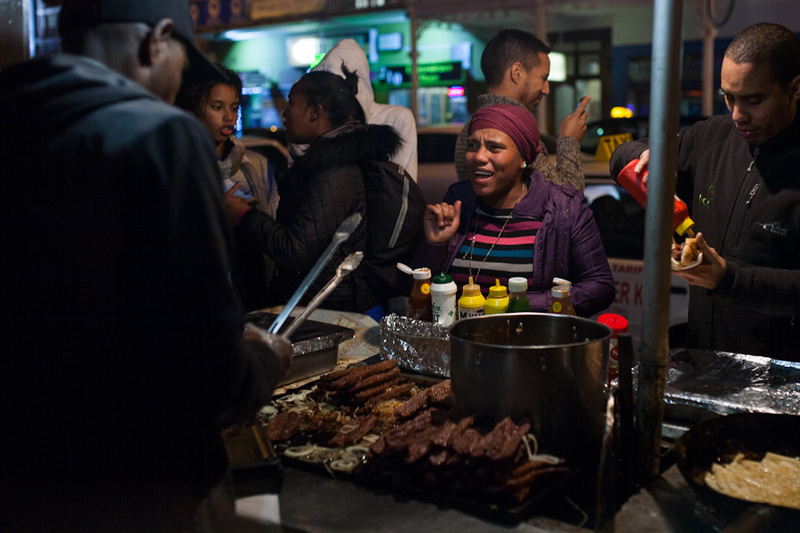 A women orders a boerewors roll at Muhammed’s, one of the many food stalls now found in Long Street. This particular stall has been here for over 10 years. â€¨A car guard and woman have a discussion. 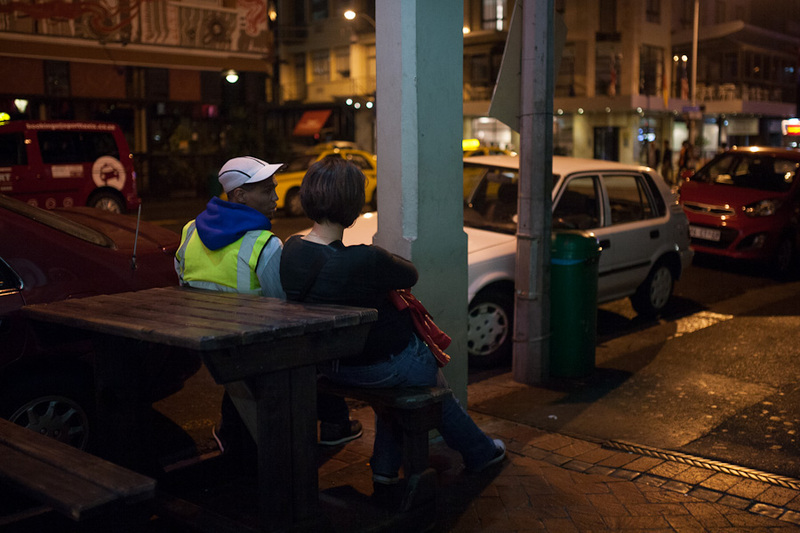 Many city goers believe car guards are not needed and are actually just beggars in uniform. 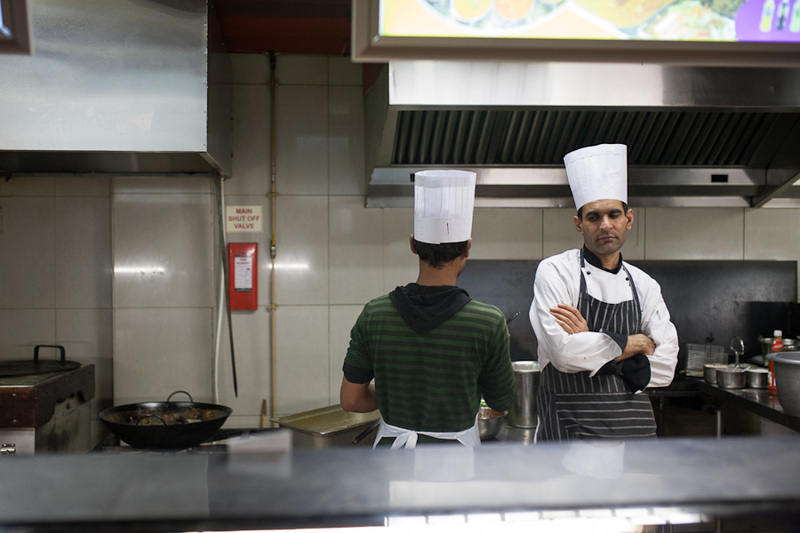 â€¨A quiet night at the Bollywood Cafe in Long Street leaves a cook waiting for orders to come in. 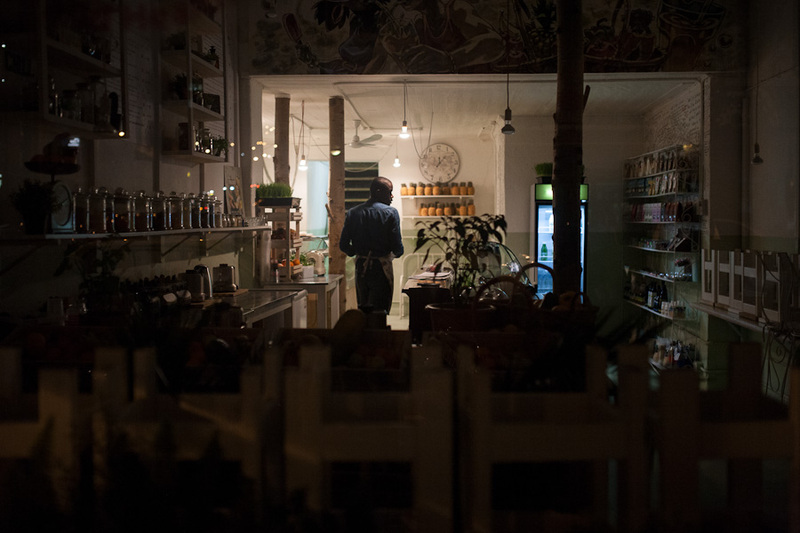 Business is quiet after 11pm on weekdays but on weekends the same restaurants make a roaring trade until 3am. Two men shopping in one of the many convenience stores found along the strip. 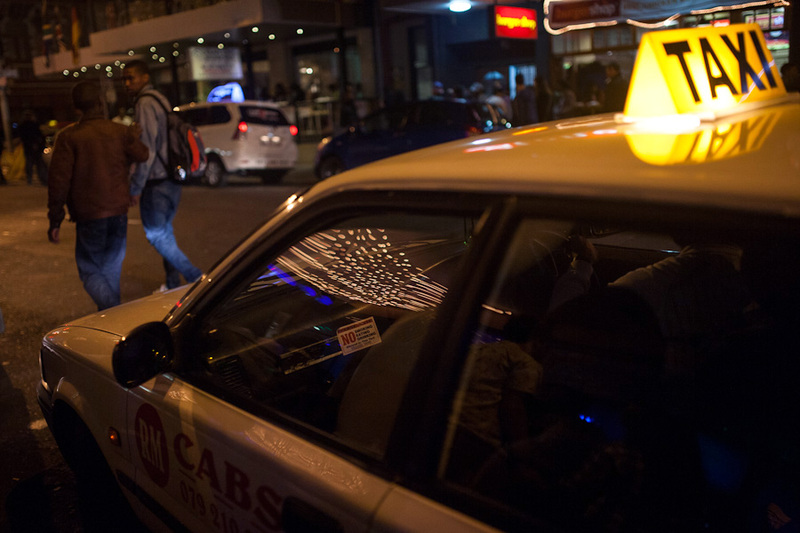 Taxis (or cabs) are notorious for creating bottlenecks in Long Street as they wait in the street for passengers. Police patrol the street all night urging drivers to move their vehicles. A man closes up shop shortly after midnight. 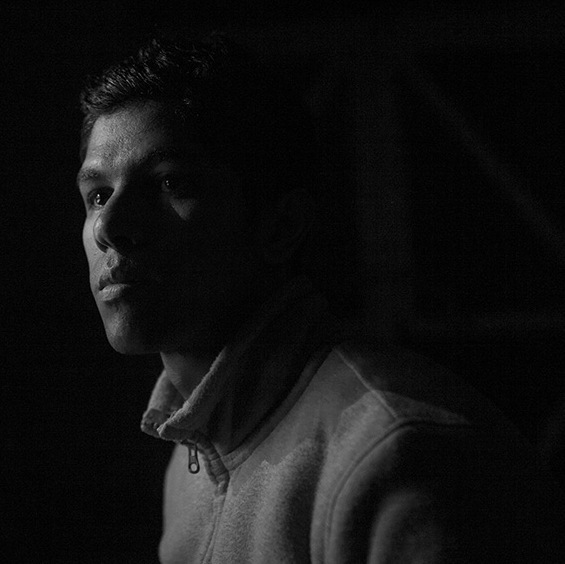 Ashraf Hendricks isÂ a photographer based in Cape Town. You can see more of his work onÂ his website.Â Follow him onÂ Twitter. #sexistSA: Should we just accept this as the norm?